With the explosion of Internet, the avenues to make money online with little or no investment have opened up around every corner. If you really wish to use the easy ways to make money online without investing too much, other than an Internet connection or a data pack (and some efforts), then the following smart and legitimate ways will surely help you. Many companies pay good money for taking part in their online surveys. Make sure you give honest answers and also be prepared to spend hours before the computer. You might also have to improve your general knowledge and smarten up a bit by going through the news everyday. This will not only help you participate in more surveys to make money online but will also increase your awareness of events, new products and general market around you. If you are good at something like baking or knitting or even school subjects like math, you could make video tutorials and post them online. All you need is the right material (things like craft/black board and chalk), and a good phone or video cam. You could do a couple of videos first to check your presentation skills. Practice a bit more and then launch a series of video tutorials to subscribe to Ads. Amazon has a great way of publishing your work online called Kindle Direct Publishing (KDP). The company also helps with editing and fair pricing. If you have specialized knowledge or if you are a great storyteller, and have time on hand, you can write books for KDP and make money online easily. You can get freelance jobs as a web developer or a website / webpage tester. They require minimum installation on your part, some specialized knowledge of web development, which is easy to acquire, and you are set to go. You can also become a ghostwriter or a content writer. This requires you to write freelance news and articles for websites and blogs. You could write guest posts on another person or company’s thriving blog. These are some of the proven easy ways to make money online. As stated above, you will need to search for legitimate job portals (Upwork, Fiver etc) and look for work from home jobs such as content writers, web developers, technical writers, e-tutors, editors, photo-editors, proof readers etc. These are relatively easy ways to make money online. All you need is a De-Mat account with little knowledge of stocks, shares, and Mutual Funds. Then you will be all set to make money online and serious cash too! You can do this in your free time or even as a means of livelihood. However, always exercise caution. This is not one of the easy ways to make money online, but you can really succeed if you have the know-how about the stock market. You can blog about travel, your experiences, spirituality, technology, mathematics, gadgets, humanities, and news. The list is endless. Make your content crisp, maybe even funny to an extent. Stick to the truth and write really well. Proofread your posts before you publish them. You can make plenty of money by blogging regularly. Try to post a blog at least 3-4 times a week. You can make money online with your blog by enabling AdSense, subscribing to ads, allowing redirects to company surveys, or setting up affiliate websites for big companies. You can make money online easily if you find it easy to be online for long periods during the day. Most companies now promote their content on social media and you could be a social media handler for their Facebook, Pinterest or Twitter pages. This is one of the best and relatively easy ways to make money online while surfing through similar sites and pages. If you are a technology buff and you know a bit of app programming, get started right away on building interesting Apps or games and selling them on Appstore and Playstore. 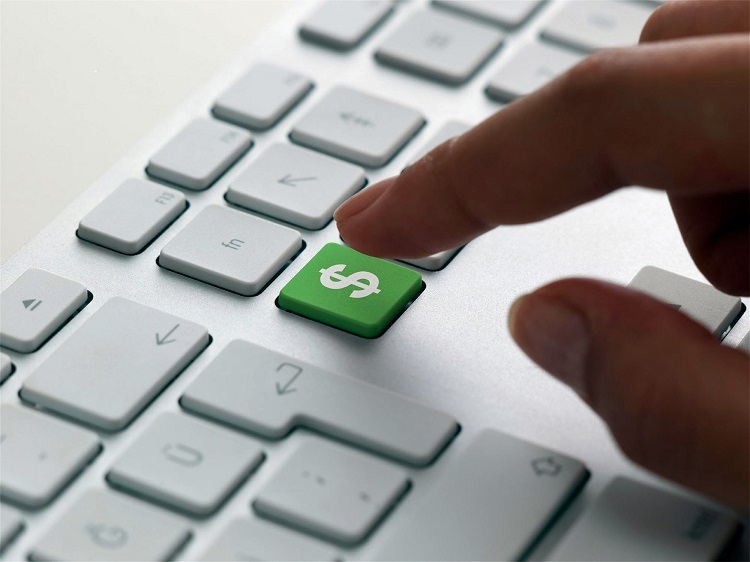 Not one of the easy ways to make money online-but definitely a lucrative one. Many top companies in Europe trade with companies in the US and need massive amounts of paper work translated from English and to English. If you are proficient in any of the languages and also have some technical background then becoming an online translator is the way to go. This is easy, interesting and requires very little investment and some time. What is required though is honesty and you will also need to sign some confidentiality agreements with the company you work with, but the money would be worth the effort. You can also make money online by becoming a transcriber. Transcription includes listening to audio or watching a video and typing out what has been said. If you have a keen sense of hearing, you will make huge amounts of money through such easy ways to make money online. Several transcription jobs are available these days. You might again need to login to reputable online/work-from-home job-portals to search for transcribing jobs. This requires immense effort, a lot of creativity and great salesmanship. You need to be able to really sell a product to the customer. A customer must actually buy a product by virtue of your advertisement and honest reviews. It is not easy-you need to set up a sales funnel and continuously analyze what works and doesn’t when it comes to bringing traffic to your website. You can sell stuff on craigslist or eBay. You can also sell stuff (products or services) through your own website. You can also sell apps online. You can sell unused items in mint condition. You can sell other peoples’ stuff online for commission and make plenty of money. If you are good in making products (handicrafts, jewelry, T-shirts, woolen items etc) then you can set up your own e-store. You can become a researcher for a company looking for information. Several companies require online content research done and typically outsource such jobs to freelancers. If you are smart, sincere and honest, there is good money in becoming an online researcher. There are no easy ways to make money online-it is not a trivial pursuit. If you want to make serious cash, you must also be prepared to put in a good amount of work. Online surveys and resale of stuff can generate money but not sustainable money. So do try to be creative, scrupulous and sincere–these qualities are essential to make money online whether as a side business or a sustainable income.